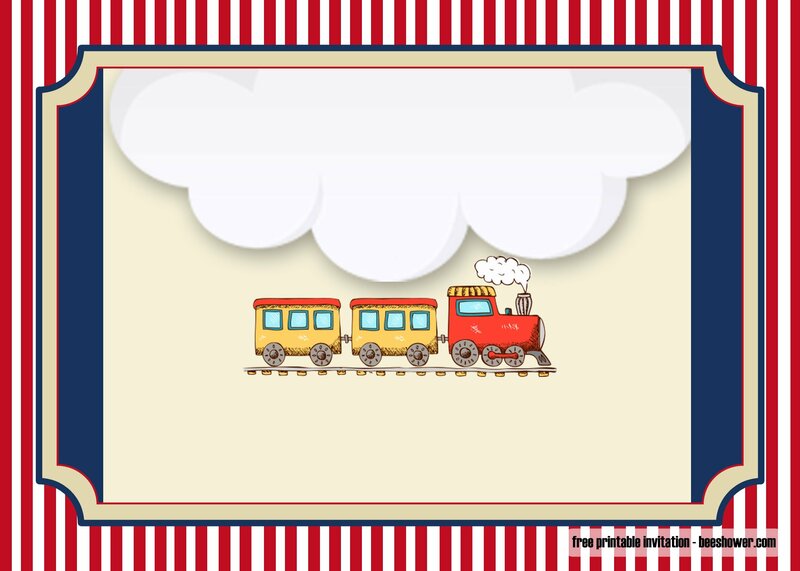 Our train baby shower invitation template is ready to help you arrange your next baby shower party. Well, this template is basically can be used for both girl and boy so you do not need to worry about a thing. The palette will be blue, red, and beige, which are suitable for both boy and girl as we have mentioned before. 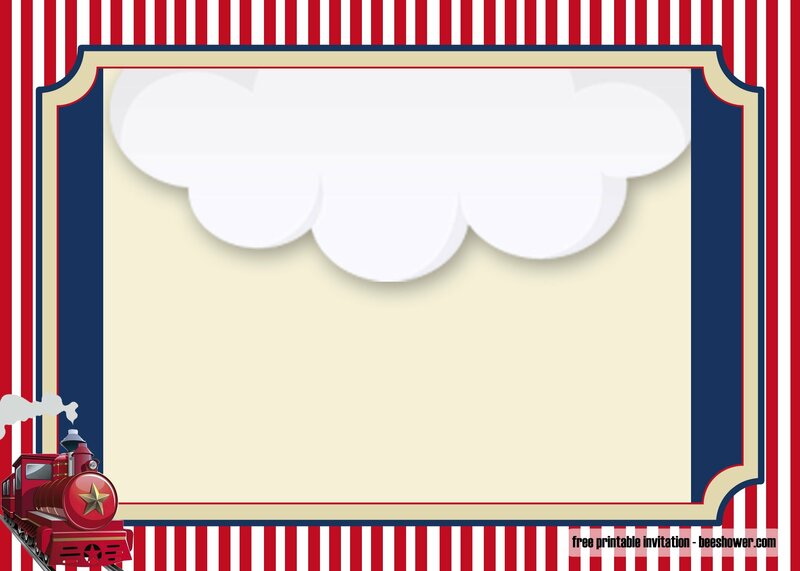 We always provide free invitation templates you can use for your party. But the free items are available only for personal uses. The steps and process to make the template is yours are pretty simple after all. 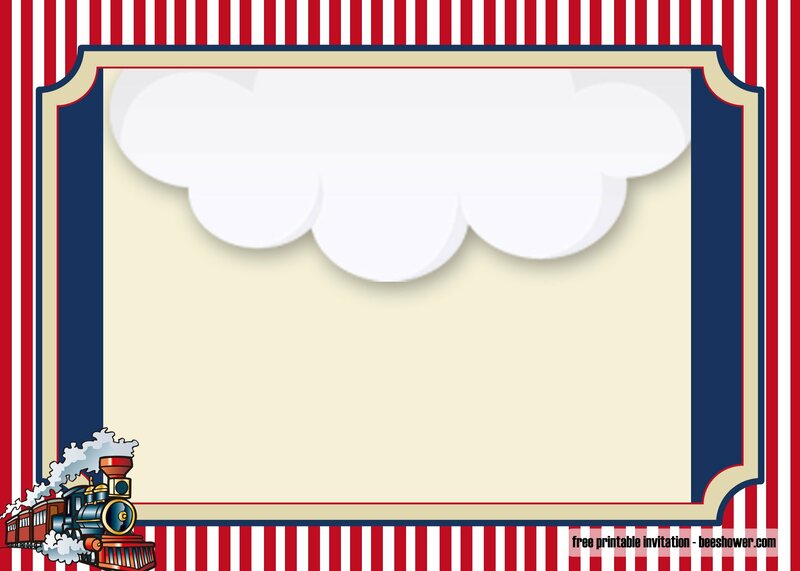 So, we will allow you to edit the template to make it suits your party. Typically, the customization includes the name of the mother, the date of the party as well as the location, and other things the guests need to know. The information is definitely up to you but, make sure you have included all the important details in it. We highly recommend you to use capital letters so everyone can read the information clearly. 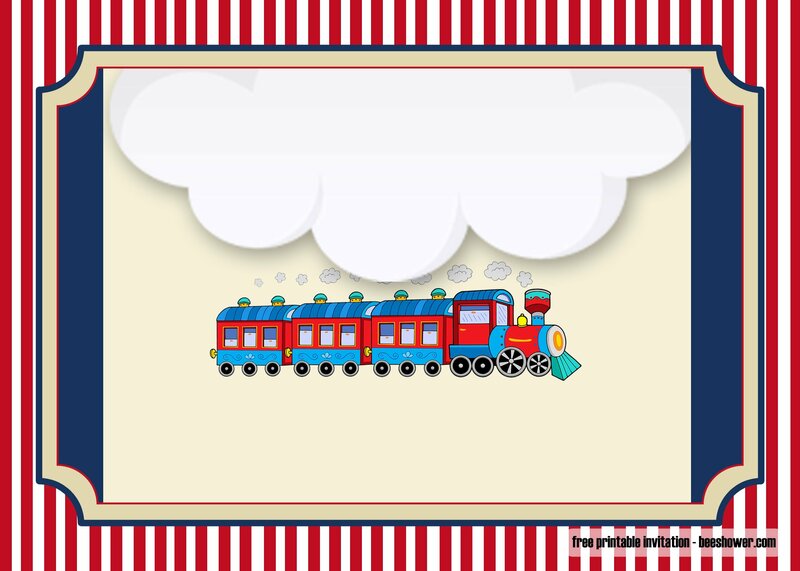 The train baby shower invitation template is available in high resolution so the printed result will be awesome. Of course, you need to consider the paper type and the printing method as well. When it comes to printing the invitation template, there are only two types of paper that will match the purpose. We recommend duplex or linen paper. Duplex is shiny while linen is textured. Linen also provides a fancy look when the template is printed. First of all, make sure that you buy the right size of paper. Typically, an invitation will be 5 x 7 inches of size. You can customize the size when you do the editing process. 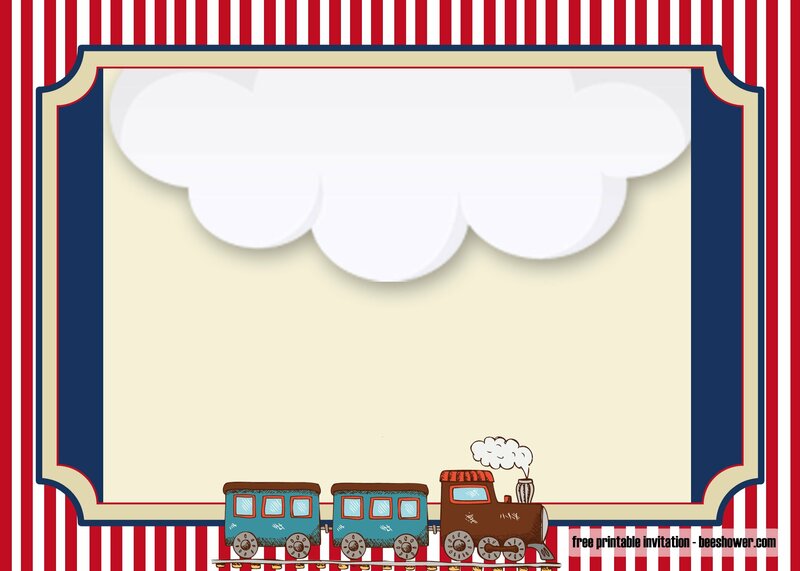 Again, feel free to use our train baby shower invitation template for your upcoming party!